Whether you’re buying for a fellow fanatic or someone whose interests are completely different than your own, LTD Commodities has your back. This holiday season, we have a fun collection of gift-giving options that will make all the gamers, geeks and gadget lovers in your life giggle with glee. Here are a few of our favorite gift ideas trending now! 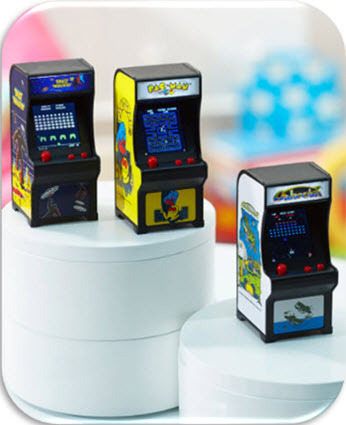 Whether the gamer in your life is younger and unfamiliar with the classics, or well-versed in the joystick fun of old arcades, these handheld games will bring a smile to their face. – Joystick and button controls. – Makes genuine arcade noises. – Keychain for on-the-go gaming. Give the gift of comfort while paying homage to their favorite pastime with these comfortable lounge pants. 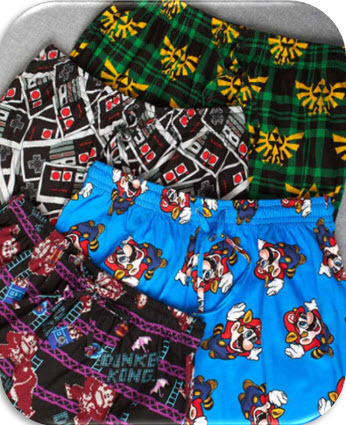 They can wear them to bed, and also when lounging around in the game room. – Perfect for classic Nintendo lovers. – Lightweight for year-round comfort. – Great gift for female gamers, too! 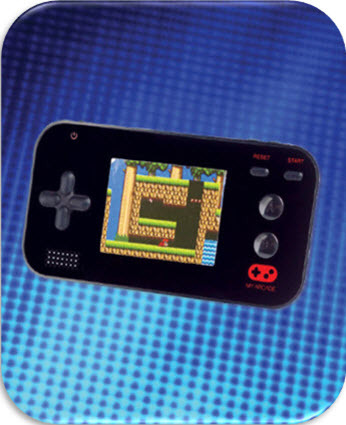 The perfect starter gift for young gamers, this system fits easily in any pocket, purse or backpack. It also appeals to anyone who enjoys puzzle, sports or adventure games. – Has 220 built-in games! – Simple controls for kids. 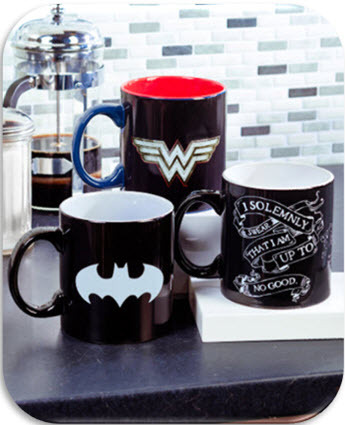 Hot beverages are a bonus for the recipient of one of these cool mugs. Exterior images on these oversized mugs become more detailed and vivid with the addition of hot liquid. – Address two loves with one gift. – Gift with the element of surprise. – Larger than the average mug. 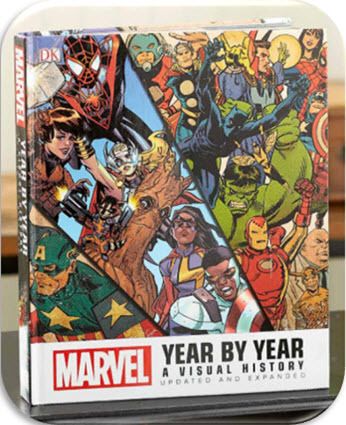 What comic worshipper wouldn’t want this Marvel “bible”? Even the most discerning fans are bound to spend hours poring over the fun facts and vivid illustrations on every page. – A century of superhero history. – Vivid artwork. Expert commentary. – Durable hardcover with 400 pages. The classic timepiece features the symbol of their favorite character or franchise. They’ll be proud to display their fandom (and always be looking for an excuse to check the time). – Available in a variety of styles. These three books are essential references for any witch or wizard, and will arrive in a boxed set. 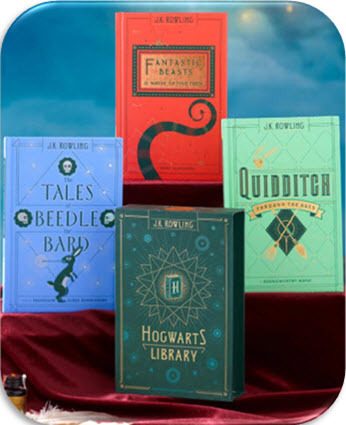 They’ll receive Fantastic Beasts and Where to Find Them (Newt Scamander’s account on all sorts of magical creatures), as well as Dumbledore’s commentary on The Tales of Beedle the Bard. Finally, they’ll be able to read up on the rules and history of Quidditch Through the Ages. – Dives deep into J.K. Rowling’s wizarding world. – Appropriate for kids, teens and adults alike! 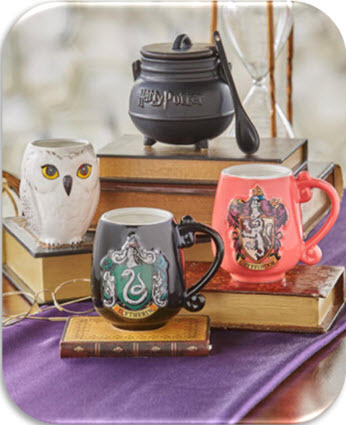 Whether they hail from Gryffindor or Slytherin, they’ll love sipping their favorite hot beverage from a mug featuring their house crest or boasting the image of the iconic snowy owl Hedwig. Whichever you choose, add the Cauldron Mug with Spoon, which functions beautifully as a sugar vessel. – Create a thematic gift with mug, sugar bowl and hot cocoa! – Harry Potter fans love to boast their Hogwarts House affiliation! 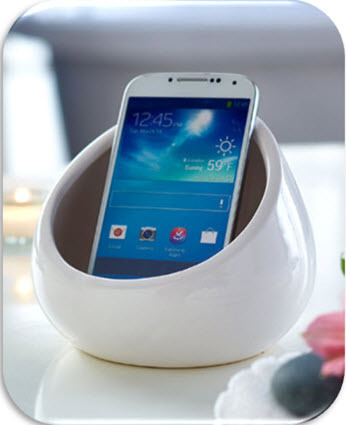 These holders are so handy for taking pictures or texting, and they function as a stand when watching videos. Use both in the set on the same phone to easily tie and store earbuds. 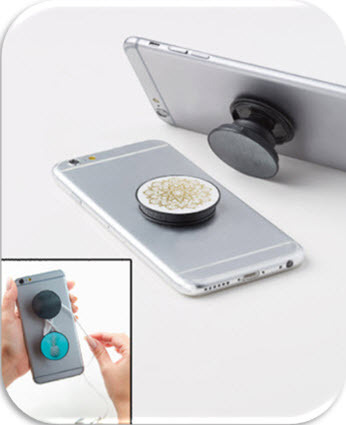 – Useful grip for larger smartphones. – Doubles as a video-watching stand. – Keeps your earbuds untangled. 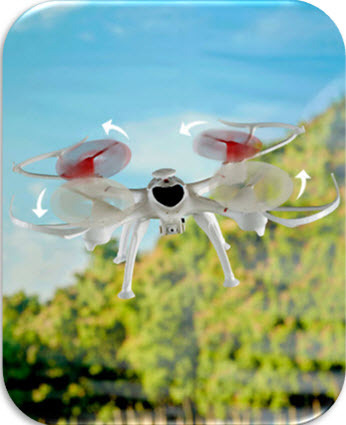 This fun camera drone gives you the ability to view your surroundings like never before. The built-in camera allows you to take pictures or video from high above. – Flying range of 300 feet! – Resistant to high winds. – Includes an SD card. Music aficionados will appreciate this simple smartphone amplifier. It increases the volume of your device and doesn’t require any power. Best of all, it looks pretty darn cool! – Stylish design fits with any room. – Great reviews on the sound quality. – Works well with Apple or Android. LTD Commodities prides itself on providing a wide variety of products to appeal to ALL interests. You’re sure to find something for everyone on your holiday gift list, no matter how picky or particular they are. 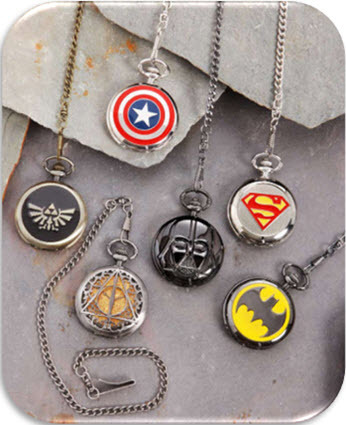 If you’re looking for more geeky gift ideas, superhero products and Disney merchandise, check out our fun selection of Favorite Characters!